Grounded Boeing 737 Max jets at Pheonix’s Sky Harbor International Airport on March 14, 2019. Ethiopian Transport Minister Dagmawit Moges said that black box data shows the crash of an Ethiopian Airlines Boeing 737 Max 8 jet shortly after takeoff from Addis Ababa on March 10, 2019, killing 157 people, bears close resemblances to the crash of another Boeing 737 Max 8 flying with Lion Air that was lost in October 2018 off the coast of Indonesia with 189 on board, the Wall Street Journal reported on Sunday. “Clear similarities were noted between Ethiopian Air Flight 302 and Indonesian Lion Air Flight 610, which will be the subject of further study during the investigation,” Transport Minister Dagmawit Moges said. 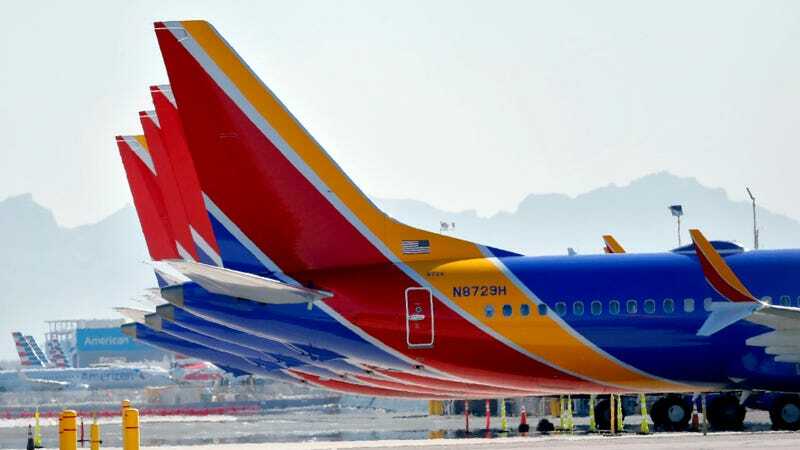 Both flights were on Boeing 737 MAX 8 aircraft. Ms. Moges declined to give details of the similarities that had been identified, including whether Boeing’s new anti-stalling software that has been associated with the Lion Air flight had been activated. She spoke after French air accident investigations bureau BEA had sent the data from both the cockpit voice recorder and the flight data recorder to Ethiopian authorities. According to the Journal, Moges added that Ethiopian and U.S. National Transportation Safety Board investigators confirmed the black box data, and a preliminary assessment of the results will be issued within a 30-day timeline. Officials from the U.S. Federal Aviation Administration and European flight regulators were also present when the data was obtained, the paper wrote. There have also reportedly been some issues with the level of training pilots certified to fly prior models of the aircraft received before they took control of the newer jets. Last week, airlines across the planet began grounding Boeing 737 Max 8 aircraft, though it took a few days longer for the FAA to ground 737 Max 8 and 737 Max 9 jets flying with U.S. airlines (making the U.S. the last major country to do so). American Airlines told Gizmodo via a statement that Boeing had characterized the grounding of the planes in the U.S. as the result of an “abundance of caution.” However, Boeing CEO Dennis Muilenburghad—who has a cozy relationship with the White House—reportedly tried to convince the Trump administration not to issue the order. While 376 separate 737 Max orders have been fulfilled, some 4,636 orders were still outstanding as of February, Bloomberg recently reported, and some carriers have reportedly been reconsidering whether they want turn to competitors. More than $600 billion in orders are potentially at risk, Bloomberg wrote. Boeing has promised an overhaul of the plane’s software to reduce the risk of yet another crash. According to the Journal, memorial services for those who died in the latest crash were held in Addis Ababa on Sunday, albeit with empty caskets, as it will likely take up to half a year to identify recovered human remains via DNA analysis.